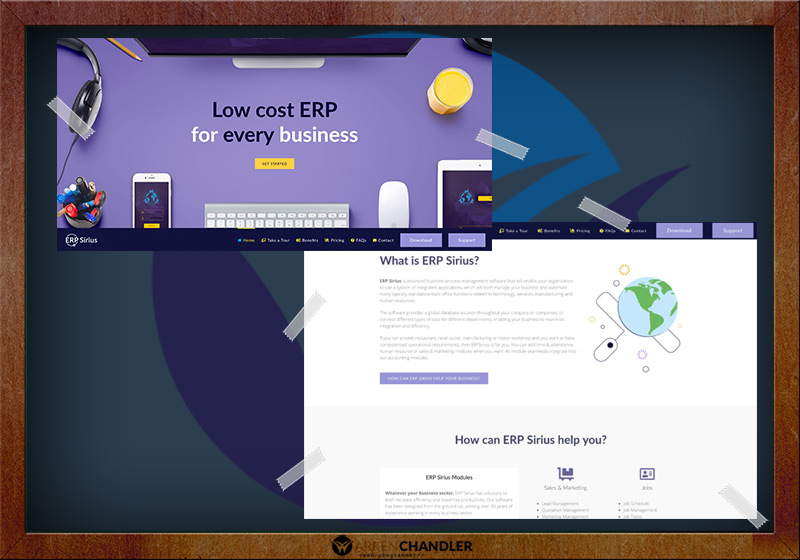 ERP Sirius +Mobile is a website promoting ERP software (or business process management software) that will enable an organisation to use a system of integrated applications, to both manage the business and automate many typically standalone back office functions related to technology, services, manufacturing and human resources. The client needed a modern looking website with a membership and download system, with a help system bolted on for existing users. They were a pleasure to work with, knowledgeable and professional throughout the development process.